A silicon-based quantum computing device could be closer than ever as a result of a new experimental device that reveals the potential to use light as a messenger to connect quantum bits of information — known as qubits — that are not directly adjacent to each other. The achievement is progress toward producing quantum computing devices from silicon, the same material used in today’s computers and smartphones. The research, published in the Nature journal, was led by researchers at Princeton University in partnership with colleagues at the University of Konstanz in Germany and the Joint Quantum Institute, which is a collaboration of the University of Maryland and the National Institute of Standards and Technology. The team developed qubits from single electrons trapped in silicon chambers called double quantum dots. By applying a magnetic field, they demonstrated they could transfer quantum information, encoded in the electron property called spin, to a particle of light, or photon, paving the way to the possibility of conveying the quantum information. This is a breakout year for silicon spin qubits. This work expands our efforts in a whole new direction because it takes you out of living in a two-dimensional landscape, where you can only do nearest-neighbor coupling, and into a world of all-to-all connectivity. That creates flexibility in how we make our devices. Quantum devices provide computational possibilities that are not possible with present-day computers, such as simulating chemical reactions and factoring large numbers. 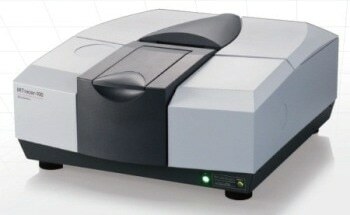 In contrast to conventional computers, the devices work according to the quantum mechanical laws that rule very small structures such as sub-atomic particles and single atoms. Leading technology firms are already developing quantum computers based on superconducting qubits and other methods. The researchers theorize that the present approach may avoid this issue as it uses light to probe the state of the quantum system. 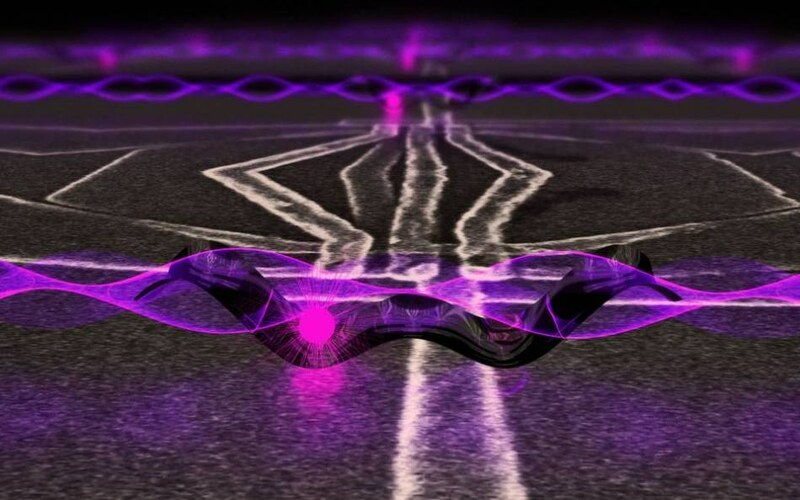 Light is already used as a messenger to bring internet and cable signals into households via fiber optic cables, and it is also being employed to connect superconducting qubit systems, but this is one of the initial applications in silicon spin qubits. In these qubits, information is denoted by the electron’s spin, which can point down or up. For instance, a spin pointing up could signify a 0 and a spin pointing down could signify a 1. Conventional computers, in contrast, use the electron’s charge to encode information. Connecting silicon-based qubits so that they can talk to each other without damaging their information has been a tough task for the field. Although the Princeton-led team effectively coupled two neighboring electron spins separated by only 100 nm (100 billionths of a meter), as published in Science in December 2017, coupling spin to light, which would enable long-distance spin-spin coupling, has remained a challenge thus far. In the present study, the team solved the issue of long-distance communication by coupling the qubit’s information — that is, whether the spin points down or up— to a particle of light, or photon, which is confined above the qubit in the chamber. The photon’s wave-like nature allows it to vacillate above the qubit like an undulating cloud. Graduate student Xiao Mi and colleagues discovered how to link the information about the spin’s direction to the photon, so that the light can capture a message, such as “spin points up,” from the qubit. “The strong coupling of a single spin to a single photon is an extraordinarily difficult task akin to a perfectly choreographed dance,” Mi said. “The interaction between the participants — spin, charge, and photon — needs to be precisely engineered and protected from environmental noise, which has not been possible until now.” The team at Princeton included postdoctoral fellow Stefan Putz and graduate student David Zajac. The progress was made possible by exploiting light’s electromagnetic wave properties. Light consists of oscillating magnetic and electric fields, and the researchers managed to successfully couple the light’s electric field to the electron’s spin state. The researchers did so by building on team’s discovery published in December 2016 in the journal Science that showed coupling between a single particle of light and a single electron charge. To coax the qubit to convey its spin state to the photon, the researchers position the electron spin in a large magnetic field gradient such that the electron spin has a different orientation based on which side of the quantum dot it occupies. The magnetic field gradient, integrated with the charge coupling demonstrated by the group in 2016, couples the qubit’s spin direction to the photon’s electric field. Preferably, the photon will then deliver the message to another qubit positioned within the chamber. Another possibility is that the photon’s message could be conveyed through wires to a device that reads out the message. The researchers are dealing with these next steps in the process. Several steps are still required before fabricating a silicon-based quantum computer, Petta said. Ordinary computers process billions of bits, and although qubits are more computationally robust, many experts agree that 50 or more qubits are required to realize quantum supremacy, where quantum computers would start to surpass their classical counterparts. The study was supported by the U.S. Department of Defense under contract H98230-15-C0453, Army Research Office grant W911NF-15-1-0149, and the Gordon and Betty Moore Foundation’s EPiQS Initiative through grant GBMF4535. 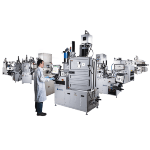 The devices were fabricated in the Princeton University Quantum Device Nanofabrication Laboratory.